It’s the time of year when us sports journalists get lazy. We put the feet up, dust down the clichés and do what we always do for the final edition of each and every calendar year – we look back. We reminisce. We remember the way we were. We’re not alone. In the past week, the Texaco Awards, the Manager of the Year, the RTE Sports Awards and the Sporting Excellence awards have all been presented with many of the same faces taking to the stage. Once again, at a time when the economy is dragging us all down with it, sport has offered us a relief from the tedious monotony of bailouts and banking crises here in Ireland. Enda Kenny may have won the general election back in February, but I’d hazard a guess more people will be able to tell you that Ireland won through to the European Championships when they hammered Estonia in November’s playoff. It has, to quote the song, been a very good year for Irish sport. These are my highlights. JUST last week the great Rory McIlroy admitted that he had cried when he spoke to his mum and dad after his collapse at the Masters in April when he threw away a four shot lead and lost the green jacket he had tried on for size for three days running by a whopping 10 shots. There were tears again at Congressional in June, tears of joy as the 22-year-old from Holywood in the County Down became the youngest U.S. Open champion since Bobby Jones in 1923. McIlroy blew the opposition apart as he secured an eight shot winning margin and became the youngest major winner since Tiger Woods at the Masters in 1997. That he led from start to finish, with rounds of 65, 66, 68 and 69, banished the painful memories of Augusta forever. 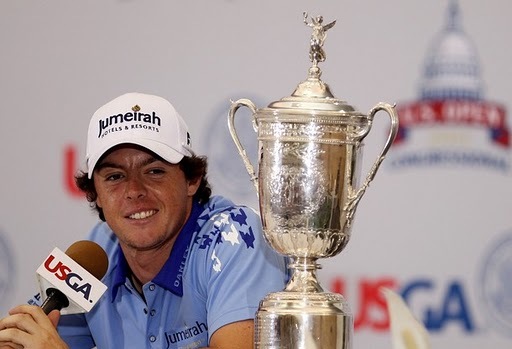 McIlroy was born to be a star -- at Congressional he became a hero. 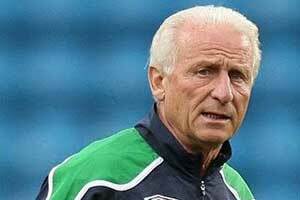 GIOVANNI Trapattoni has been picking up gongs galore of late, and why not? Ireland’s Manager of the Year deserves all the accolades currently coming his way after guiding his team to a first major finals in 10 years. The Irish side won’t be favorites to win Euro 2012 next summer, not by a long shot. They won’t even be favorites to get out of a group that features world champions Spain, Italy and Croatia. But that doesn’t matter. Trap has put the pride back into Irish football and the smile back on Irish faces. Thousands of fans will forget about double digit recessions and the like when they travel with Joxer to Poland next summer. It’s time to party like it’s 1988 – and we will! It will go down in sporting history as one of the greatest comebacks of all time, a resurgence that will be used to inspire sports teams and sports men and women for many years to come. Leinster were 16 points down to Northampton at halftime in the European Cup final in Cardiff last May and going nowhere fast until they took a proverbial look in the mirror and didn’t like what they saw. They emerged for the second half with a sting in their tail, after words of inspiration from out-half Jonathon Sexton and coach Joe Schmidt, and a new determination in their stride. 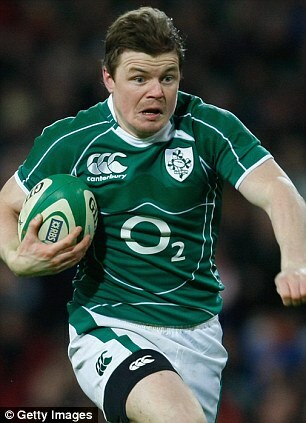 By full-time, Sexton had scored 28 points, including two tries, Brian O’Driscoll had performed miracles and the recovery was complete. As one English journalist noted – Lazarus had a Ballsbridge postcode that day! WHO could have written this script? 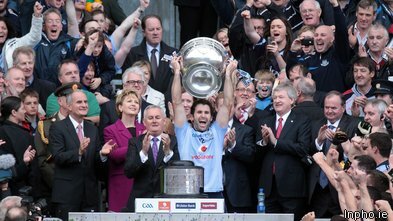 Dublin hadn’t played arch rivals Kerry in the All-Ireland final since 1985 and hadn’t won the Sam Maguire since 1985. This year was different though. Manager Pat Gilroy had rebuilt his team and the new boys in Blue were well able to move like Jagger in front of Hill 16 as they proved all summer. They were underdogs going into the September decider against the crafty Kerrymen and looked every inch the part as they trailed the Kingdom by four points with just 10 minutes remaining of an endearing final. Dublin looked dead but they refused to be buried. Substitute Kevin McManamon crashed an Alan Brogan pass to the back of the net before Kevin Nolan pulled the teams level. Bernard Brogan and Kieran Donaghy traded points before the Gods turned blue and Dubs goalkeeper Stephen Cluxton stepped up to convert an injury time free from 35 meters out to cap a most incredible win. IN hindsight, it was the bet to clear the mortgage. Royal St. George’s golf club outside London, with the wind howling and the rain blowing, was always going to suit a player brought up on the intricacies of links golf. The horrible weather conditions so prevalent on England’s south-east coast last July were made to measure for a man used to hitting golf balls in gale force winds back home in Portrush. The 2011 Claret Jug was always going to a player who knows how to win a seaside golf tournament. 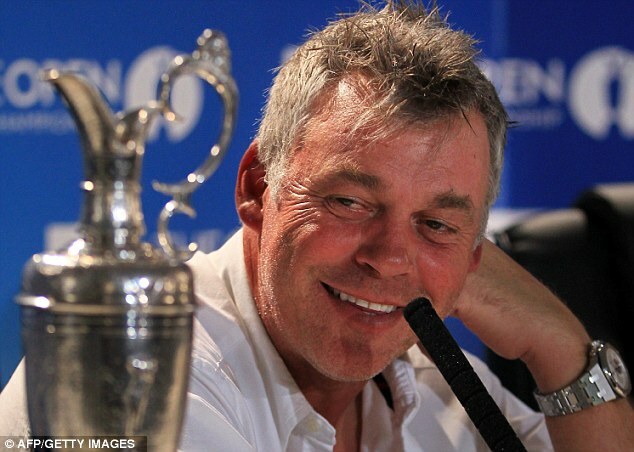 Darren Clarke was able for all that and more as he stormed through the storm to win his first Major at the ripe old age of 42. No one begrudged the Ulsterman his title. Life has been hard on Clarke in the past. Victory at Royal St George’s was payback time. THE painful fall-out from defeat to Tipperary a year previously meant Kilkenny were always going to be fired up for the rematch in September. And what a rematch it was. Tipp, with Declan Ryan in charge for his first decider, were slight favorites going into the match but they were also acutely aware that hurling knows no scorn like a wounded Cat. And so it proved as Brian Cody’s team recorded a four point win, 2-17 to 1-16, with a victory that was far more emphatic than the scoreline might suggest. It was Kilkenny’s fifth All-Ireland title in six years and probably the sweetest of them all. Don’t bet against the Cats and Tipp dominating the championship again next year. YOU have to be fairly crafty in the ring to win the World Female Boxer of the Year title once. To win it for a second time, as Bray girl Katie Taylor did this year, tells you all you need to know about the Wicklow wonder. Katie is Ireland’s big gold medal hope going to the London Olympics in 2012 and rightly so. She won a fifth European lightweight title in a row in Rotterdam also took another European Union title in Poland. The 25-year-old is gearing everything towards a big push in England next year when there should be gold on the streets of London for the affable fighter. Ireland Beat England – at Cricket! THE Indian city of Bangalore was the unlikely setting as Ireland took on England in World Cup cricket -- and beat them in one of sport’s biggest shocks of the year. Not since Ireland’s win over Pakistan four years earlier did the nation pay so much attention to the sport but this was a victory to savor over the nation that invented the game. Kevin O’Brien assured himself a place in Irish sporting folklore with the fastest ever World Cup century off just 50 balls. They tell me that is some feat -- like the rest of the country I just celebrated the fact that we had beaten England. That Ireland won at cricket just made it all the sweeter. MICHAEL O’Leary left his job as manager of Shamrock Rovers last week, but not before guiding the Hoops to a second successive League of Ireland title. O’Neill is now the favorite to take over as manager of his native Northern Ireland, a role made all the more plausible by his remarkable success in Europe this season. Rovers didn’t win a game in six attempts at Europa League football, but the fact they got to the group stages of a European competition, the first ever Irish side to do so, is to be applauded. Their stunning win away to Partizan Belgrade, the result that got them to the group stages, is to be savored. THE recession was forgotten for four glory filled days in March when the Cotswolds belonged to the Irish and there wasn’t a dry glass in the house. A record 13 winners crossed the Irish Sea for the Olympics of National Hunt racing and what a week it was for the visitors. The previous record of 10 wins, achieved in 2006, was gone by the Thursday, smashed in no small manner by an astonishing six Irish winners from seven races on the Wednesday card. 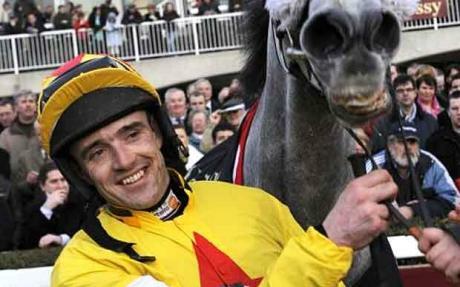 Ruby Walsh secured another leading rider award with five victories, Willie Mullins trained four winners over the week and Ryanair boss Michael O’Leary was leading owner with three of his Gigginstown Stud horses first past the post. Only the Gold Cup – won in spectacular fashion by Long Run – spoilt the party. Everything else was green, white and gold.